Happy Wednesday everyone! I can't even begin to tell you all the amazing sales happening at H&M this past weekend. 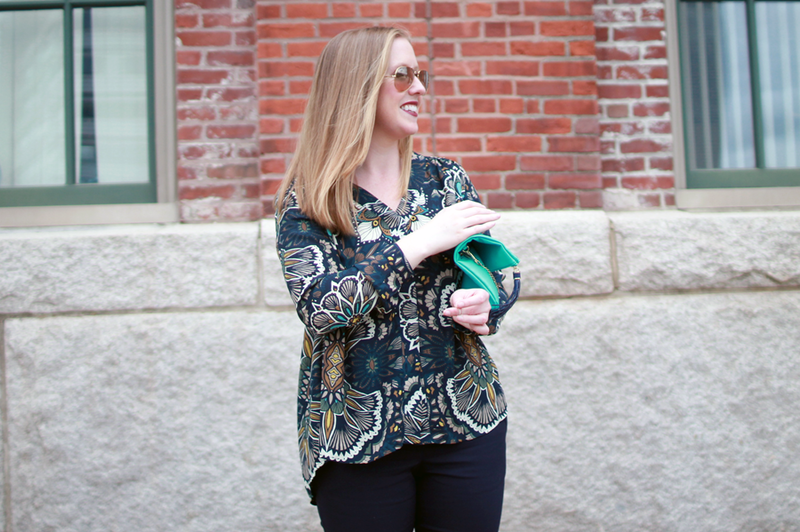 I snagged this top for only $10, and a few others for even less! (coming soon!) 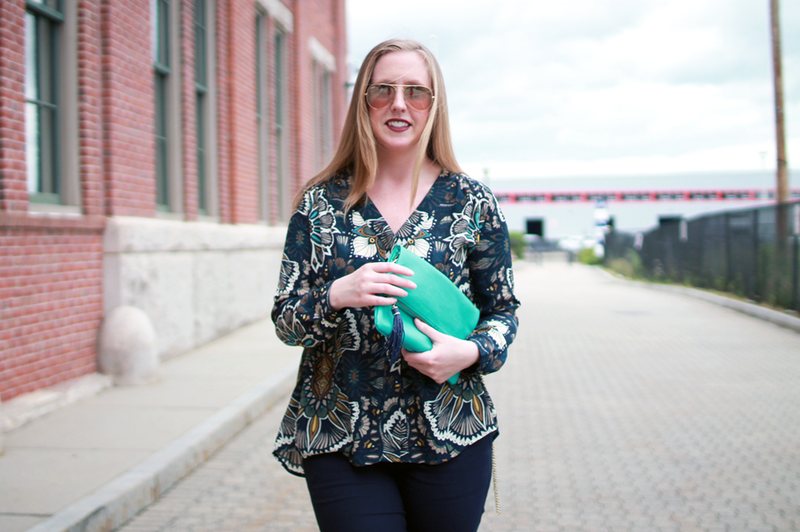 I decided to pair this top with my new navy dress pants and this bright turquoise clutch to highlight the many colors in the blouse. 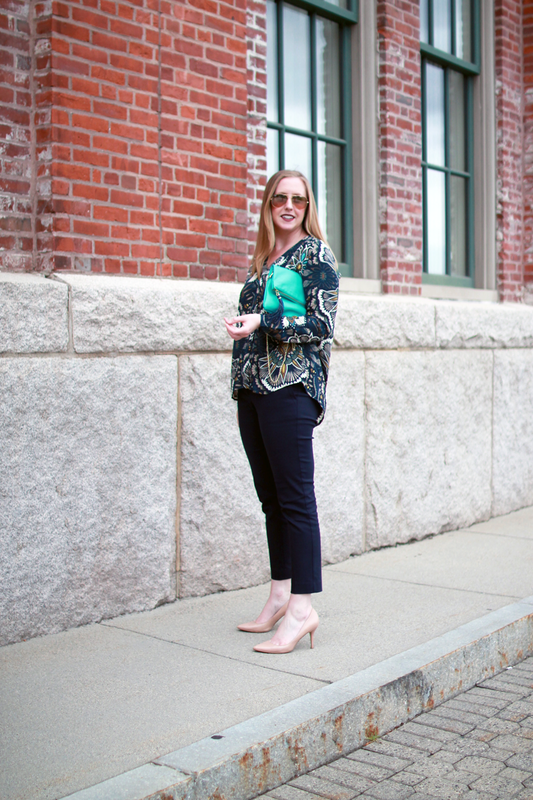 The top is so versatile it could even be dressed down with some denim boyfriend shorts or white jeans & sandals. What's everyone doing for the Holiday weekend? 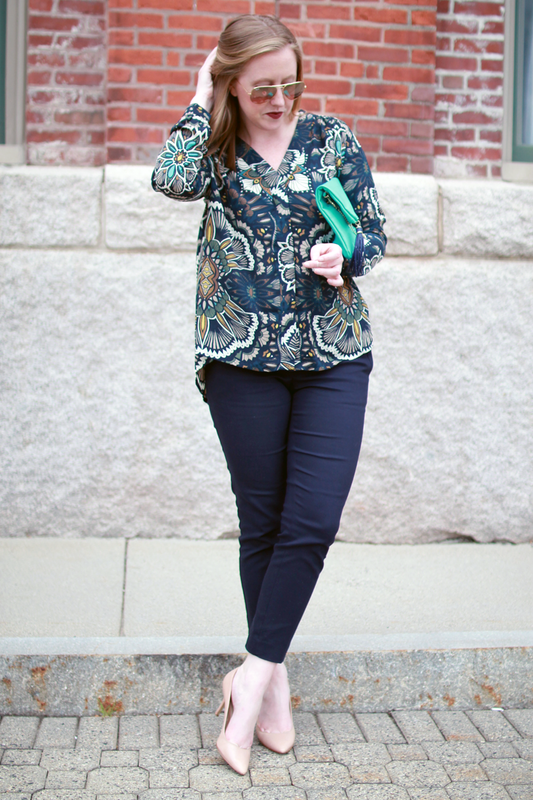 8 comments on "the Navy Blues"
That is a lovely blouse and I love your clutch! 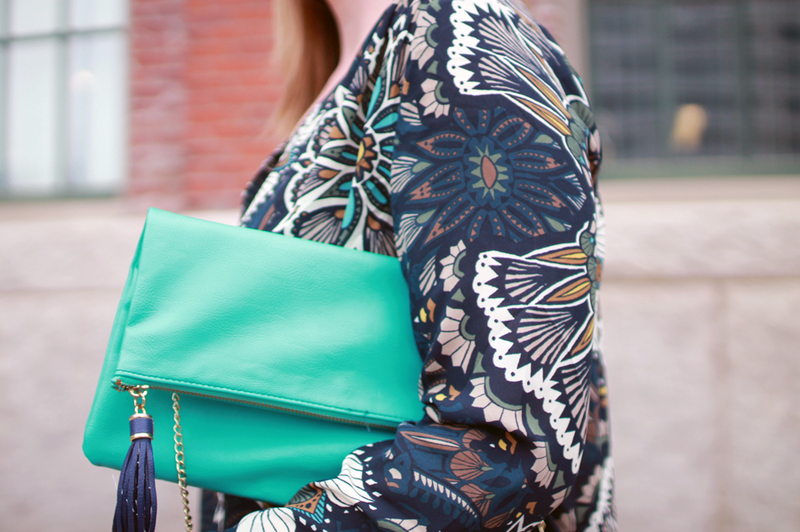 i love the colors in that top, and the bag is the perfect accent color to pull out. Gorgeous print on your top! I love the blues and teals and browns together. It is such a rich color combination. Really pretty outfit!